I get asked for grandma's Taco Soup recipe quite often so I thought I would post this for the ease of sharing. Enjoy! Thanks - nice way to put it up - I'll have to try it. Looks like you've changed from swimsuits (in summer I know, please go back that way) to bikes to a cooking blog. Interesting. 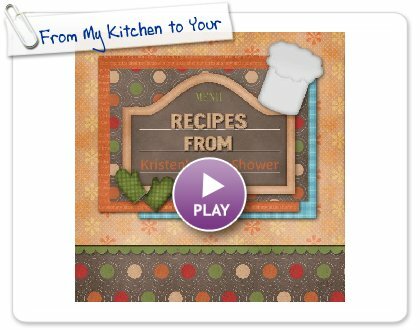 Glad you like the recipe presentation I created with Smilebox! Summer went by so fast last year I didn't get enough pool time but you bet I will be sunning more this year! Spring is consumed by cycling because it's race season so we don't have a lot of time to get away for anything else.